The world’s No. 1-ranked golfer hasn’t forgotten where he came from. Dustin Johnson has put many of his trophies and memorabilia on display at TPC Myrtle Beach, and now he’s upgrading his commitment to that South Carolina facility. 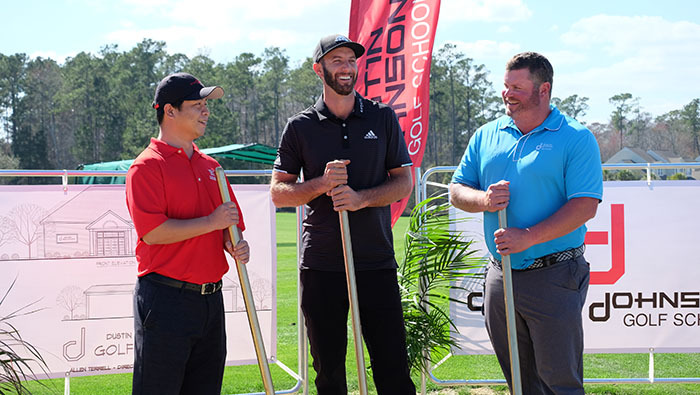 Johnson was featured at the groundbreaking for the state-of-the-art Dustin Johnson Golf Performance Center, a 3,100-square foot building that is expected to be completed by Memorial Day. It’ll become the home of both the Dustin Johnson Golf School and Dustin Johnson Foundation. The Dustin Johnson World Junior Golf Championship has been held at TPC Myrtle Beach the past two years. When completed the Performance Center will have three indoor hitting bays, three covered hitting areas, a fitness center and space for instructional seminars. It’ll also feature TrackMan, AimPoint and MySwing 3D technology. Ornate bridges and bold pink blossoms are just some of the nice touches at Reynolds Lake Oconee. 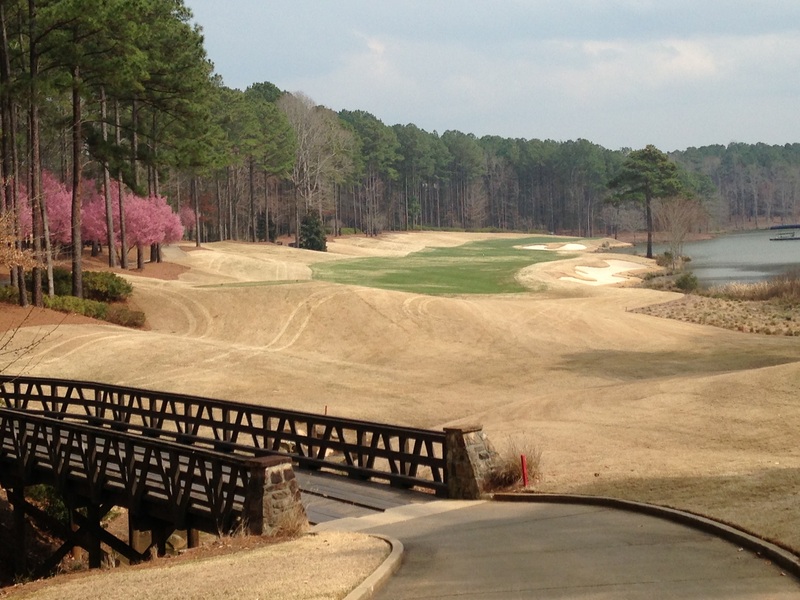 REYNOLDS CUP ON TAP: Reynolds Lake Oconee, the long-popular destination between Atlanta and Augusta, Ga., will unveil a new tournament for corporate executives who thrive on the competition and camaraderie. The Reynolds Cup presented by National Car Rental will be held on the Rees Jones-designed Oconee course Sept. 10-12. The event will match two-person teams from companies throughout the country over 36 holes in a Stableford Best Ball format. Registration is $3,500 per team, which includes three nights and two rooms at The Ritz-Carlton. SAND VALLEY OPENINGS SET: Mike Keiser’s latest destination, in Rome, Wis., will begin its second season of play on May 1 when the The Sandbox opens for play. It’s a 17-hole par-3 course designed by Bill Coore and Ben Crenshaw. A fun layout, it offers a wide variety of shot-making opportunities that include the chance to play the entire course using only a putter. Mammoth Dunes, the resort’s second 18-holer, will open on May 31. It was designed by David McLay Kidd, the Scottish architect who designed the first course at Bandon Dunes, Keiser’s Oregon designation. THE CRADLE ROCKS: Pinehurst’s new 788-yard par-3 course is already a big hit. There were 30 holes-in-one in the North Carolina course’s first two months of operation, and those getting them ranged in age from 8 to 84. Biggest group to test the course was a 12-some and the biggest daily turnout was 174 players. Fee was $50, which included replay rounds. Kelly Mitchum, a Pinehurst teaching professional, tackled The Cradle on winter solstice, the shortest day of the year. He got in 26 rounds – 234 holes – and was 12-under-par for the day. 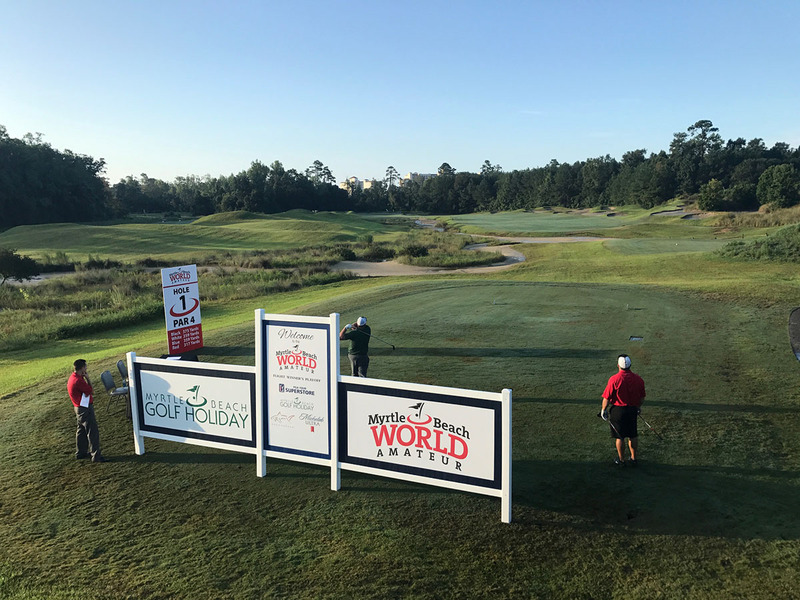 About to enter its 35th year, the Myrtle Beach World Amateur is an event that’s not to be missed. MORE FROM MYRTLE: Tickets are now on sale for the Hootie & The Blowfish Monday After the Masters Celebrity Pro-am. The 24th annual event will be held on the Dye Course at Myrtle Beach’s Barefoot Resort. Celebrities include basketball Hall of Famer Rick Barry, hockey legend Grant Fuhr, former PGA Tour winners Woody Austin and Chris DiMarco and Paige Spiranac, a professional golfer who has stimulated golf popularity through her social media outlets. She recently joined the Myrtle Beach Golf Holiday staff. 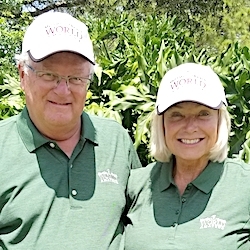 Myrtle Beach’s biggest annual event, the 35th World Amateur Handicap Championship, started accepting entries in March and early-birds will get a break. Entry is $525 through May 17. That’s a $100 saving off the regular cost. Those who register by April 12 will be eligible for one of 50 random drawing prizes that are collectively valued at $10,000. The World Am will be contested over 72 holes from Aug 27-31 on 64 courses. With over 3,000 entrants from about 20 countries participating there will be a wide variety of age and handicap divisions and the winners of each on will go an extra round to determine the overall champion. The 35-acre Learning Center at PGA Golf Club is a cutting-edge place for performance enhancement. 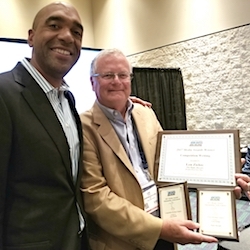 \PGA Golf Club, the PGA of America’s biggest facility in Port St. Lucie, Fla., picked up two awards recently that were independent of the destination’s four courses. 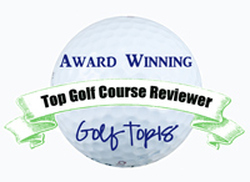 The 35-acre Learning Center was named among the Top 50 ranges for the 17th consecutive year by the Golf Range Association of America and its Taplow Pub was named the area’s best pub by a local publication. Palmetto Dunes Oceanfront Resort, in Hilton Head, S.C., is celebrating its 50th anniversary in 2018. All three of its courses — the Robert Trent Jones Oceanfront the Arthur Hills and the Fazio — have been named South Carolina’s Golf Course of the Year at one time or another. Mike Jones, once the head pro at two Chicago area courses – Thunderhawk and Cantigny – is on the move again. Since leaving Chicago Jones was the man in charge at two major destinations – Kapalua in Hawaii and Nemacolin Woodlands in Pennsylvania. He just accepted a director of golf position at Suncadia, in Ellensburg, Wash., and will begin work there in April. Jan Stephenson, the LPGA Hall of Famer, has entered the golf management side at Tarpon Woods, in Palm Harbor, Fla., and is making plans for a course renovation there. The Concession Cup, a competition between amateur teams from the U.S. and Europe has undergone a major personnel change. Bob Lewis has withdrawn as captain of the U.S. team due to health concerns and two-time Concession Cup captain Vinny Giles and the event’s founder, Alan Fadel, will serve as co-captains for the U.S. team that will seek to win the event for the third straight time from April 16-21 at the Concession Club in Bradenton, Fla.
Two Chicago courses that are part of the Arcis Golf portfolio of clubs nation-wide were honored with Golden Fork Awards by Golf Inc. magazine. Ruffled Feathers, in Lemont, was named runner-up in the Most Improved public facility category and Eagle Brook, in Geneva, was a top-three finalist among the most improved private clubs. More names in the news: Jeff Roth, winner of 15 major titles in Michigan golf, has joined the instruction staff at Boyne Golf Academy. Kelly Holmes is now general manager at Michigan’s Harbor Shores, and Steve Kuretsky is director of agronomy at Cantigny.